DroidDosh.com - Download official MIUI 9 (7.8.24) Global ROM For Redmi Note 4 and 4x. 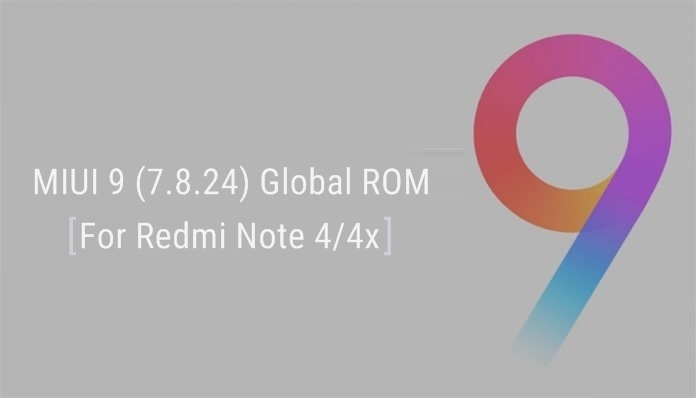 Below is the direct link to download the MIUI 9 (7.8.24) Global ROM For Redmi Note 4 and 4x stock firmware (flash file) from Official MIUI Server. Take a backup of your personal data before upgrading to MIUI 9. As this helps you to recover the personal data whenever any thing wrong happens. How to flash MIUI ROM? Click here to see detailed MIUI flashing tutorials or check this thread to see the step-by-step guide.